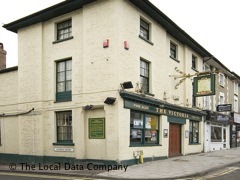 If you follow live music, then you will probably know of The Victoria, a place dedicated to furthering the common cause. With such a long history of supporting music and being part of the Shuffle it is only right that this venue sits at the heart of this year’s Shuffle. It will be operating two sessions during the course of the event. On Friday, we champion some of the best Swindon based alternative indie and rock bands. On Saturday we turn to more urban fare, including a headline set from The Tribe, the band who ensured last year’s Children’s Fete ended with a bang on the Swindon Shuffle stage. As with all the stages this year, admission is free, but donations to our chosen charities are always appreciated.